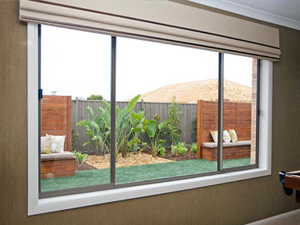 Sliding windows are available in aluminium from Southern Star Aluminium Windows and Doors, and timber from Canterbury Timber Windows and Doors. In addition, Southern Star Aluminium sliding windows are available in either the 100, 200 or 300 Series, ensuring total compatibility with the design or architectural style of the building project and your budget! Timber options include Meranti, Western Red Cedar and KD Hardwood, all of which can be painted or stained and treated with TimGuard, our exclusive semi-finished two-coat clear seal. Aluminium sliding windows are available in a variety of powder coat colours.